Decoration for New Year with Chinese Red Envelope and Gold Ingots, a symbol of wealth and prosperity. 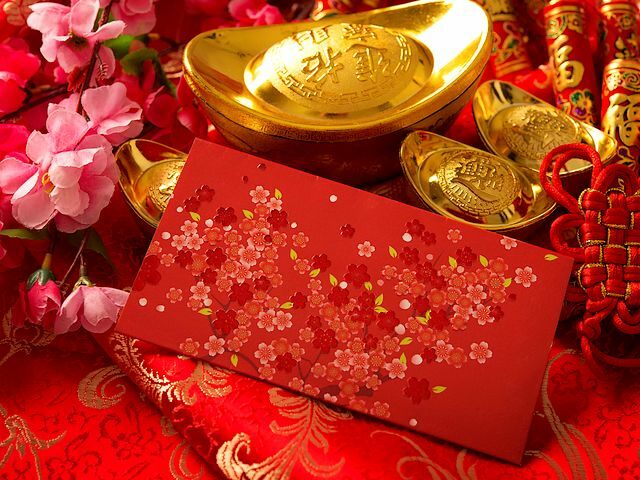 The famous Chinese 'Red Envelope' (red packet) is a monetary gift used during holidays such as Chinese New Year or special occasions during social and family gatherings. In 2014, the Chinese mobile app WeChat popularized the distribution of red envelopes via mobile payments over the Internet.